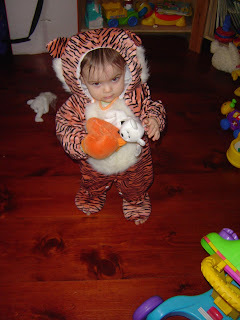 Here are a few pictures of the girls in their Halloween costumes. 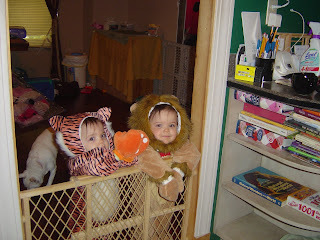 We aren't going OUT this Halloween, but my mother brought these from Florida so we put them on and the girls ran around in them. I don't have time to post much else, so hopefully this will hold you all over for a bit. So cute, so cute, so cute! So adorable. 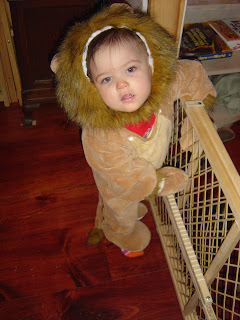 We have a lion this Halloween too :) Happy Halloween!! !